Today I'd like to share with you a dystopian series I read and greatly enjoyed. I absolutely love these covers! Jen Minkman (1978) writes paranormal romance, dystopian fiction and poetry. She is from the Netherlands and self-publishes her work in English. Her works are available in paperback & digital format. Jen was born in the Netherlands and lived in Austria, Belgium and the UK during her studies. She learned how to read at the age of three and has never stopped reading since. Her favourite books to read are (YA) paranormal/fantasy, sci-fi, dystopian and romance, and this is reflected in the stories she writes. In her home country, she is a trade-published author of paranormal romance and chicklit. Across the border, she is a self-published author of poetry, paranormal romance and dystopian fiction. Her books are already available in English, Dutch and Chinese. Translations in Spanish, French, German, Portuguese, Italian, and Afrikaans are coming soon! She currently resides in The Hague where she works and lives with her husband and two noisy zebra finches. You can follow Jen on Twitter: @JenMinkman or e-mail her at jenminkman (at) hotmail (dot) com! I just finished The Deep last night and I loved it! The Island series takes the reader into an amazingly creative dystopian world filled with mystery, deceit, and mayhem. 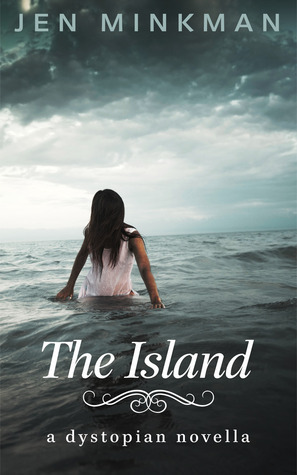 Once I finished reading The Island, I was filled with questions and a burning desire to know more. No worries, as the series continued, all was revealed. The story unfolded, bit by bit, revealing the truth behind the inhabitants' existence. The Deep was a satisfying conclusion to the story and kept me engaged with its non-stop action and adventure--and of course a little romance too! I'm always impressed with the fact that Jen translates her books from Dutch to English herself. The Deep was well-written and had a smooth, easy-read flow to it. I enjoyed my time in this dystopian world. Thanks for a great series, Jen! You'll be hooked, so . 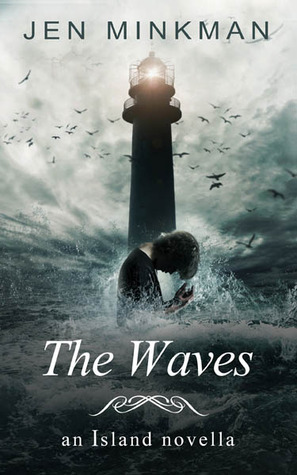 . .
To purchase The Waves on Amazon, go here. 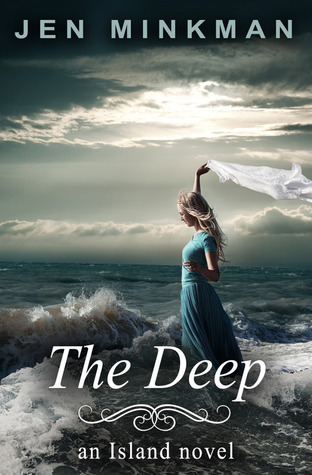 To purchase The Deep on Amazon, go here. Awesome!! Thank you for sharing the free book. This looks like a great series!! You're welcome, Christy! It's not my usual read, but I really enjoyed this series! Hope you like it! I enjoyed the series. I think the author has quite the imagination! I'd love to hear what you think of the books after you read them, Charissa! The cover art for all of these books is spectacular. Fits the tone. I've got The Island and had a chance to start it but had to set it aside to finish some review books. I hope to get back to it soon! Hope you enjoy the series, Laura! They are quick reads with an intriguing plot-line!